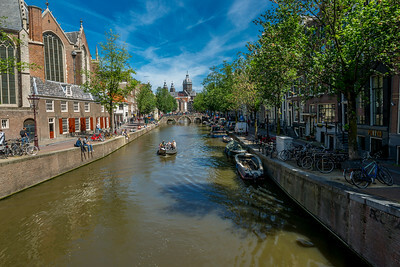 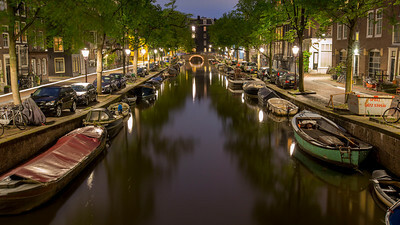 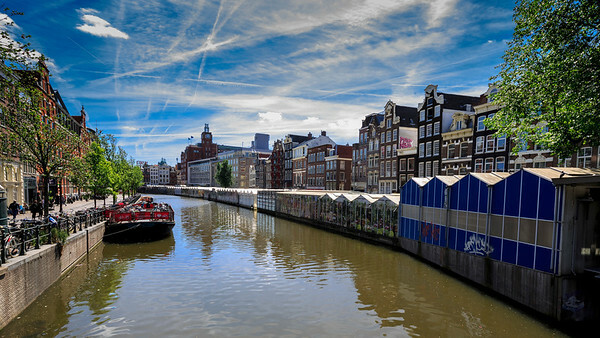 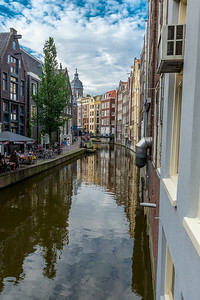 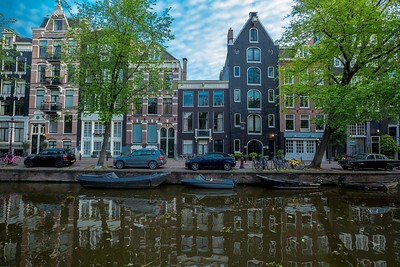 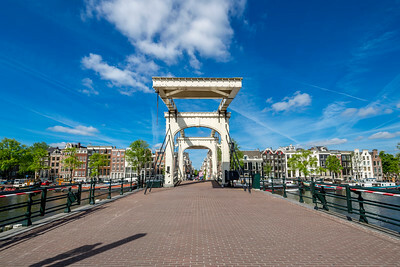 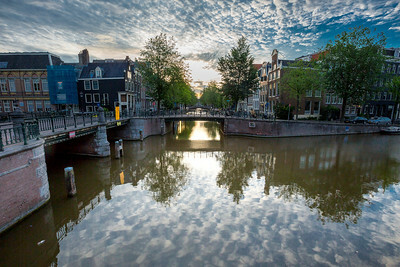 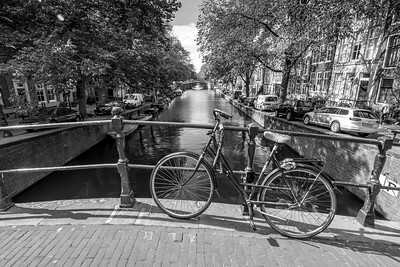 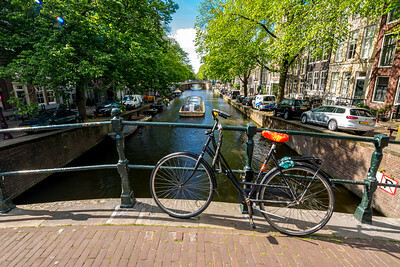 Images in this gallery were all captured in Amsterdam. 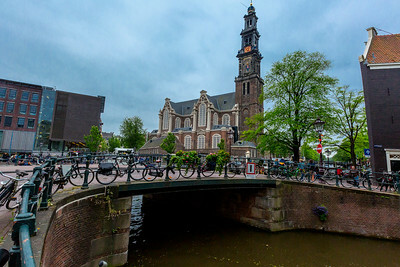 Zuiderkerk church was the first protestant church in Amsterdam, build in the early 1600's. 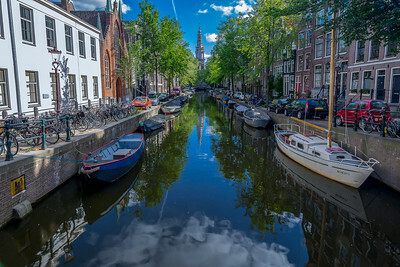 While it is no longer a church today, it is one of Amsterdam's most picturesque sights sitting at the end of the Groenburgwal canal. 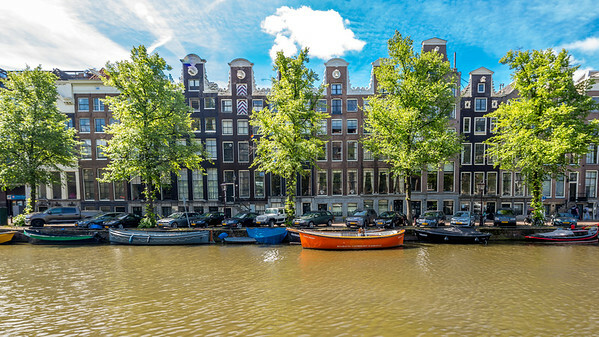 The Westekurk Church in Amsterdam, one of the more iconic pieces of architecture in Amsterdam, is the burial ground of Rembrandt and a neighbor to Anne Frank's house. 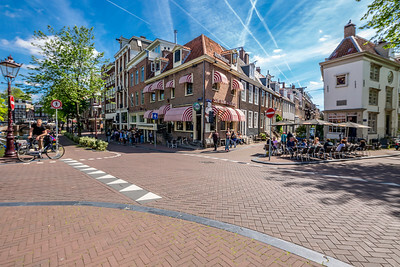 This image was taken from the west, on Bloemstraat. 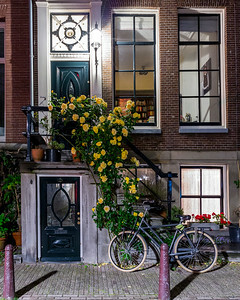 Just after the image was taken, the owner of the home whose doorway was encircled by the yellow roses came out. 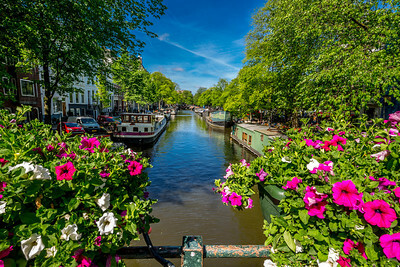 She said people stop all the time to enjoy her flowers. 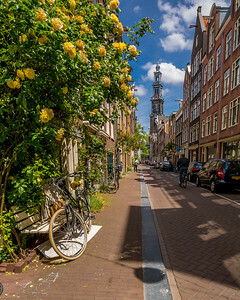 In this case, they made for a very nice foreground element for the church steeple in the background. 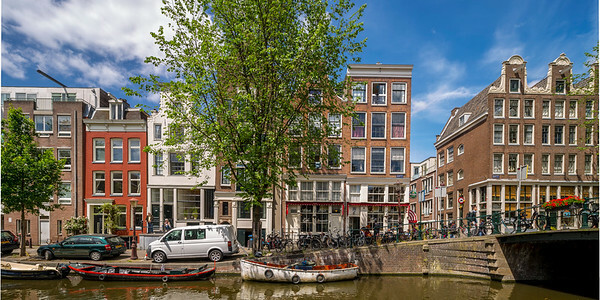 In west Amsterdam one will find the picturesque homes of Jordaan. 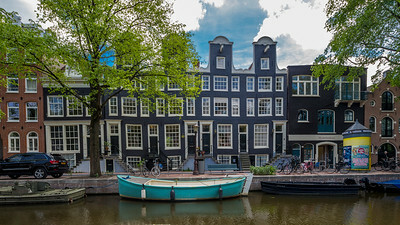 These rowhouses are built along the canals and are among the most expensive in the city in part because of the many art shops that dot the area here.